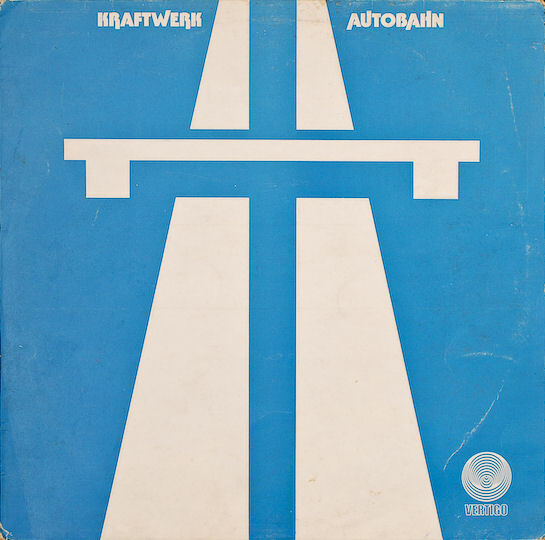 The 1974 Kraftwerk album Autobahn; essential when driving a 50's/60's/70's German car, I find. If you've never heard the album before, Autobahn is, as the title suggests, an album intended to capture the essence of driving in different atmospheres. The title track is intended to capture the feeling of driving on the Autobahn: from travelling through the landscape, the high-speed concentration on the fast lane, to tuning the car radio and the monotony of a long trip. It describes the A555 from Köln to Bonn - the first Autobahn ever built, which was opened in 1932. Contrary to the casual observer's opinions about the track, Autobahn is not a completely electronic production, as violin, flute, piano and guitar are used along with synthesizers. It features both untreated and vocoded vocals (with the remaining tracks are purely instrumental); although the vocoder wasn't a Kraftwerk invention (that accolade can be attributed to Bell Labs engineer Homer Dudley in 1928), its fair to say that they did popularise it. The front cover of the original German album was painted by Emil Schult, a long-time collaborator of Ralf Hütter and Florian Schneider, who also co-wrote the lyrics to Autobahn. The version of the album released in the UK on the Vertigo label in 1974 had a more Warhol-inspired commercial art styled cover, produced by the label’s in-house marketing department. The 22 minute album version was edited to just over 3 minutes for its single release and got to no.11 over here in the UK; this I know as my older brother would not stop playing it when it came out, and for him as for a lot of people, it was a gateway track into a lifelong love of electronic music. 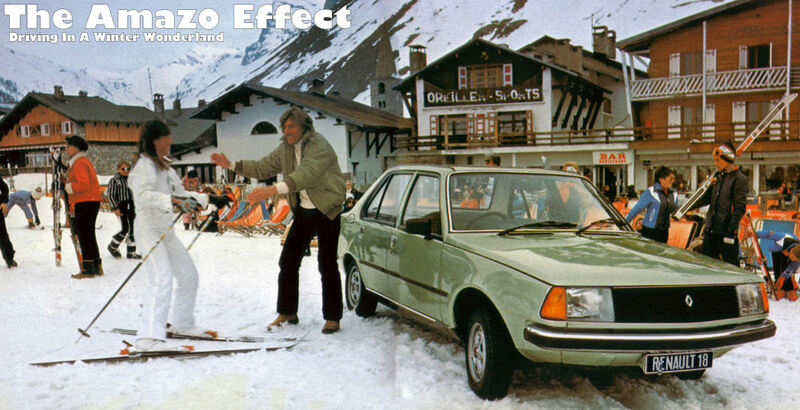 The strange thing is I always imagined the 'car' that is being driven in the song to be an old Mercedes even before I ever saw the cover. And that's from a die-hard BMW owner. Incidentally, the Mercedes in question is a W111/W112, with an early VW Beetle scuttling the opposite way. If you like Electronica in any way, and/or have the aforementioned era of German car in your possesion, get hold of the album, take a cruise late at night with the windows down and crank it up. überwältigend, as the Germans would say. Labels: Kraftwerk, Kraftwerk Autobahn, überwältigend.